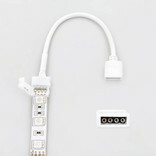 This solderless connector for RGB LED strips can be clipped on the end of an RGB LED strip. To be used in combination with an extension cable RGB. 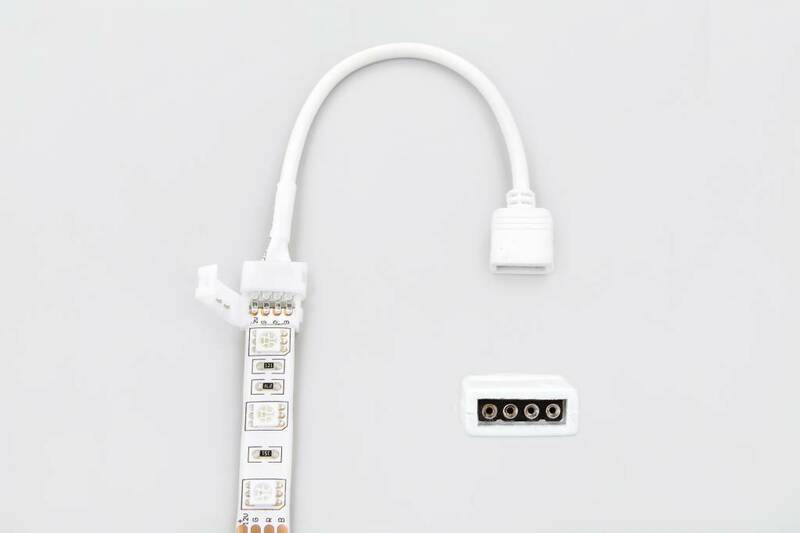 In case the LED strip has an IP65 silicone protection layer, carefully cut it away using a sharp utility knife and slide the exposed copper contacts into the strip connector.